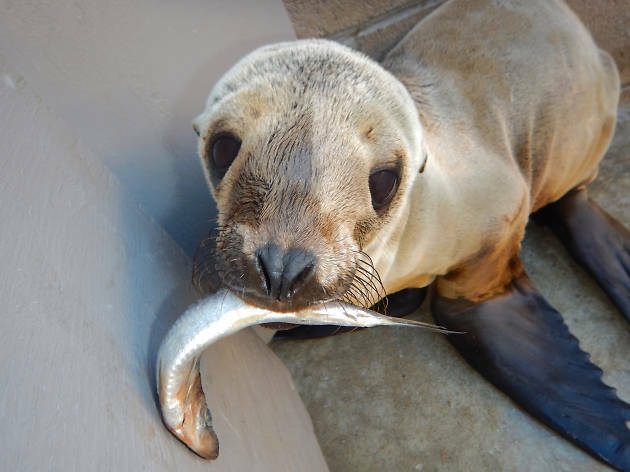 This San Pedro rehabilitation center scoops up distressed marine mammals along the coast between Long Beach and Malibu in hopes of reintroducing them to the ocean. Though these stories can be sad—sudden blindness, a shark bite—the mood stays light thanks to a cordial crew of volunteers and a comical chorus of sea lion barks. Viewing is restricted to a sidewalk outside the fences—close enough to see the sweet faces of belly-flopping baby elephant seals. The public is invited to visit the center where they can view the marine mammals from a safe distance. Children and adults will enjoy seeing seals and sea lions as they are cared for, fed, and rehabilitated by our skilled staff and volunteers. Visitors learn about the importance of ocean conservation and causes of why these animals are stranded. California Sea Lions, Northern Elephant Seals, Pacific Harbor Seals, Northern Fur Seals, and Guadalupe Fur Seals are some of the wild marine life that can be viewed at our hospital.Marine Mammal Care Center Los Angeles (MMCC LA) is a non-profit organization for Seals and Sea lions that are sick, injured or malnourished. Our hospital and education center is located in San Pedro, CA. 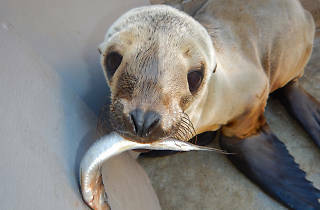 Our patients are rescued on beaches from north of Zuma to Seal Beach. Our primary missions are to treat these protected mammals and provide public education. Come visit and support our cause, all donations provide food and care for these amazing animals.